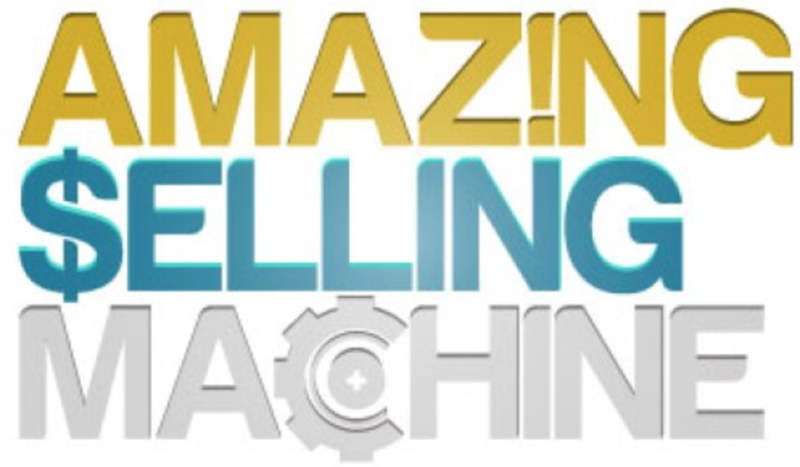 The business24-7 team has decided to take a deep look inside one of the most discussed and most successful training courses there is on the market – Amazing Selling Machine 2018. Matt Clark and Jason Katzenback are just about to release the 10th update of their training and we reveal what exactly you will find inside.. The Amazing Selling Machine 2018: What do You Really Get For $3,997? The program is constantly updated with high-quality content. The consistency and the level of service are superb, they are also offering a 6-month guarantee: if you employ their system and don’t earn any money, they will return you your course fee with the expenses, spent on supplies (up to $10,000). The hefty price tag is hard to justify as there are many cheaper alternative products on the market. If you have enough money and look for a high-quality program with consistent support to start an FBA business, you don’t want to pass up on the AMS X. Would you consider paying $4,000 for a system that promises to bring as much as $100,000 in monthly profit? If so, do you think that the ASM X is the right product? Basically, the ASM program shows its users how to effectively drop-ship products via Amazon. It’s as simple as that. Their revenue model is nothing new, if you did some research on the various methods of earning some money from home, you have probably already heard of online drop-shipping already. When talking about drop-shipping, the biggest challenge is keeping the low costs of the products. If the products are bought on the cheap, they can generate quite a profit once there are sold to the end customer. That same principle is the bread and butter of all the supermarkets you’ve ever walked into. However, how could an average citizen find those products on the cheap? There is only so much time in a day where one can go to different garage sales or various auctions. The answer to that question is China. ASM teaches its members how to get in touch with the Chinese manufacturers, obtain and test the product samples and then order major quantities of tested products. When buying in bulk you are taking quite some risk as you are usually spending several or even tens of thousands of dollars. That means that you should be familiar with the market you are about to enter. The final step is also the simplest. The sellers sign up for the Fulfillment from Amazon and send their products there. After this is done, Amazon stores their inventory, markets, sells and ships it. In the end, Amazon becomes your actual drop-shipper. According to Matt Clark, one of the co-founders, one of the main reasons are the profit margins. When he was working as an affiliate marketer, selling other peoples’ products, he earned around 40-50% profit margin. However, selling his own products, later in his career, gave him very impressive profit margins in a 400-500% range. So, how exactly do we get those high-profit margins? Mainly by convincing the customers, that the product has a substantial value and is in limited supply. The ASM course does, somewhat ironically, stand by those principles as it is not always available. The training is offered for a limited time only, and after a couple of days, the enrollment link expires. However, after some time the link reactivates and another time-limited offer is posted. 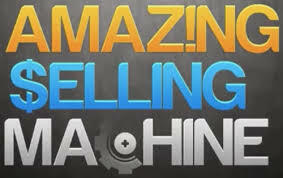 ASM has also an advanced affiliate marketing strategy. The affiliates who promote their course can also buy it for significantly lower prices. ASF affiliates can get their course for a 524,55$ for up-front purchase or they can choose 4 payments of $149,5. Their sales copy looks very good and includes statements about how their »ASM students earn over $7 million per month on Amazon«. Some affiliates have reportedly been promised as much as 50% in commission on their ASM sales (around $2,000). With such an affiliate program it is no surprise that ASM has taken over the market as quickly as it did. The ASM program originally comes with 30 days full refund guarantee. If you are not satisfied with their program, they will reimburse all of your money without any further questions. Recently, however, they have been offering an even better deal: they are putting out a 6-month buyback promise. That means that if you buy the course and inventory, market it, and not make a profit following their methods, they will fully refund the payments you made for ASM, including the money you spent on inventory (up to $ 10,000). 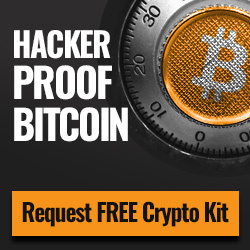 Such a guarantee is something unique in this kind of market, so it seems that you can actually try the system totally risk-free. As weird as it sounds, it really does seem like you have nothing to lose by trying out the ASM program. According to Matt, everything in the program is new. They remade the program, started from zero, completely rebuilding it from the ground up. With all the new training, they are also offering an estimated $30,000 in extras. I haven’t found out what the special bonuses are so, I don’t really know how they are valuing them. Is the ASM program worth its price tag? After some research, I found some similar courses to ASM. Some of them not only provide the Amazon, eBay or Shopify drop-shipping method but are also split into different industry categories so you do not need to buy any material that you don’t intend to use. For example, Jessica Larrews’ Amazon Boot Camp uses similar principles to the ASM program, except they don’t get their products from China or other foreign countries. Jessica provides online training courses that are very affordable. Even more, the training materials are categorized by industry. If you want to try to drop-ship health and beauty products. You can buy Jessicas’ ebook on that specific industry for meager $27. On the other hand, you can buy the entire Amazon Boot Camp for just $299. However, if you are looking to buy larger bulks of products from offshore countries like China, you should check out the in-depth training manual from Skip McGrath, named the Complete Amazon Marketing System for $127. The manual also includes some extras such as a 30-minute coaching call and a lifetime membership to his wholesale sourcing website. And finally, if you are not living in the U.S, but still wish to work with the help of Amazon, Jim Cockrum’s Proven Amazon Course is the right material for you. It is an ideal manual for anyone who lives outside the states or just wants to order the wholesale items from another country. Jim also provides you with an online community, strategy guides, and different online tools. His program seems to be highly reviewed and is an affordable option for people who want to start their own business through Amazon. Previous articleDMCC To Store Dubai’s Gold Reserves?